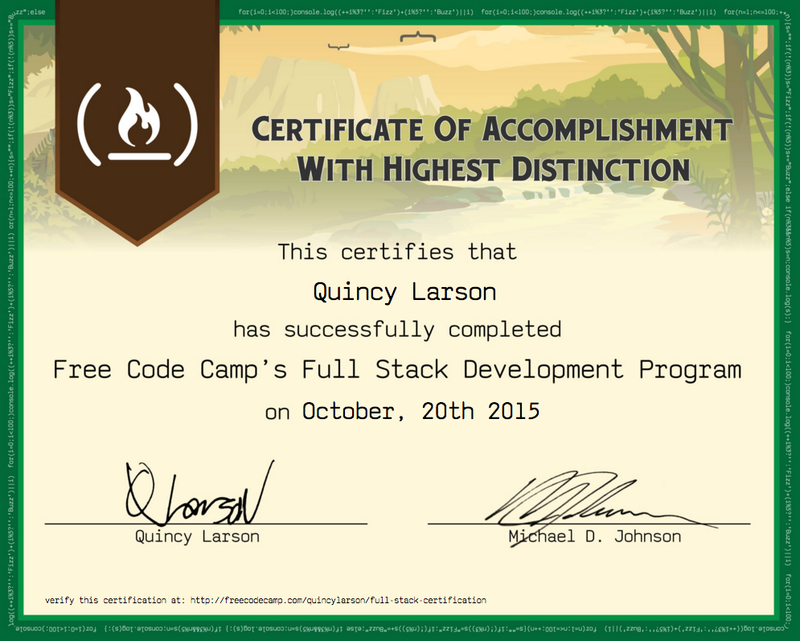 In order to participate in our nonprofit projects, you first need to earn our Full Stack Development Certification. This certification signifies that you’ve completed the first 800 hours of our curriculum. Once you’ve completed all of the above, you can complete our “Claim your Full Stack Development Certification” challenge, which will require you to sign our Academic Honesty Pledge. Then we will instantly issue your verified certification, which will become accessible from your portfolio page. What does the certification looks like?